Improving the Welfare of Prisoners is My Interest: Says a VHT Member. My name is Opio John. I am a Prisons Officer at Kwania Prison. 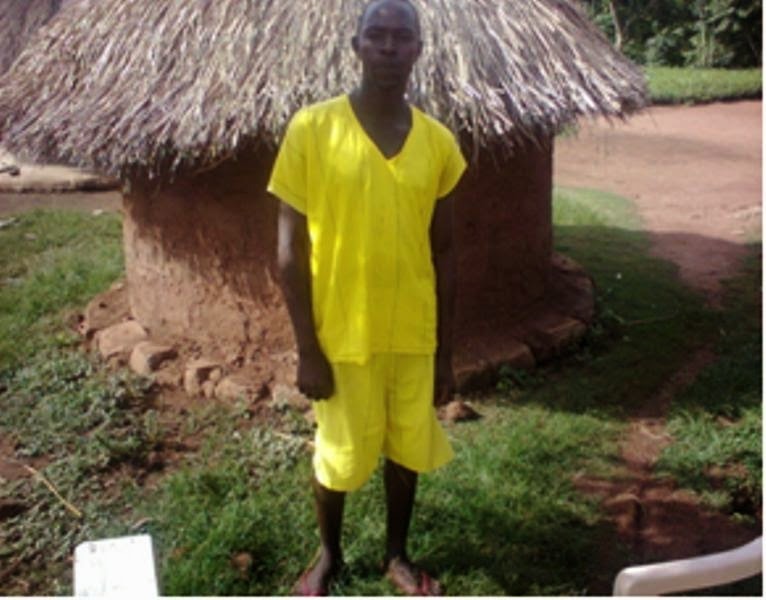 I was trained as member of a Village Health Team (VHT) by the African Prisons Project. As a member of the VHT at the prison, my role includes identification of diseases (by making regular visits to the inmates and prison community) and referrals for severe cases to bigger health facilities for better medical attention. I also conduct awareness creation meetings with the inmates on their rights to health, good living environment and welfare. As a member of a VHT, i am proud to mention that my work has caused a lot of change to the inmates and the prison community at large; this is particularly for inmates living with HIV/ AIDS and Tuberculosis (TB). I have been able to encourage most sick inmates to start medication, and also helped them to access the necessary drugs from the medical centre. Through regular counselling and sensitization of the inmates on positive living, sanitation and hygiene issues, the hope of most inmates has been restored and many are now practicing/spearheading good hygiene and also living positively. Working with the inmates has been much easier than working with the community. This is because inmates are already an organized/mobilized community which is always willing to listen and receive programmes that are aimed at improving their welfare. I am grateful to IDF for partnering with APP and to APP for choosing Kwania prison among others as a beneficiary in their project “Promotion of the rights of access to justice and healthcare of prisoners in Oyam and Apac districts”. Apart from empowering me as a VHT and human rights advocate, the project has helped in transforming the lives of and restoring hope to inmates. If such initiatives are sustained and rolled out i am certain the living conditions and welfare of most inmates will be improved leading to promotion and observance of prisoner rights in Uganda. Human Rights Advocates Have Positively Changed My Life: Inmate Opio Boniface Testifies. improving the prison environment to one that respects and promotes prisoners’ rights uses CBHRAs and Village Health Teams (VHTs) as focal persons. The focal persons are both community based persons and prison officers, trained and charged with sensitizing and educating prisoners on their rights and the justice system. They also engage with and interest the prison authorities to observe and promote the same. Serving a sentence of thirty six (36) months for theft and burglary charges, Bonny does not regret his time at Kole prison. He is rather grateful for the learning about his rights and the justice system that he has gotten from the CBHRAs, and the support/guidance he has been able to extend to his fellow in-mates in return. His only wish is if he had met the CBHRAs before his conviction maybe then they would have helped him to apply for bail and bring his case to a better conclusion. “I wish i had met the CBHRAs when i was still on remand, they could have helped me to apply for bail because I did not understand what was required of me at that time, nevertheless i am still a happy man because they have given me courage and hope during my time in prison. The CBHRAs have taught me a lot about justice, the Justice System and Human rights most especially the rights of prisoners. I am certain this information will still be useful to me even after i leave this place in December 2014; but in the meantime, i am using the information and knowledge acquired from the sessions and I.E.C materials to advise my fellow inmates who are still on remand and yet have no idea of Court proceedings on what they can do to secure bail” Bonny notes. Bonny further reveals that the I.E.C materials have completely changed his thinking, enhanced his knowledge and confidence to handle life’s situations. It is this same confidence and voluntary guidance that have earned him a new title as head of prison – usually referred to as ‘Mukulu Boma. “Some of the reading materials have completely changed my life; I now have no fear because I am an informed man. My fellow in-mates saw this in me and entrusted me to head them; being Mukulu Boma is a big task but i am not afraid. I just hope i can use my leadership position to sensitize and help more inmates and also work with the authorities to improve the living environment, and, welfare of the in-mates and report to authorities cases of rights violations amongst inmates” Bonny remarks. Opio Boniface is grateful to African Prisons Project for training the prison staff as CBHRAs and to the CBHRAs for their support. 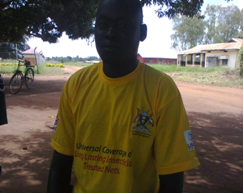 His wish is that this initiative can be implemented in other prisons to benefit other in-mates all over Uganda. Available project reports indicate that this project is steadily causing improvement in the welfare of inmates and facilitating increased access to justice, promotion and observance of prisoner rights in Oyam and Apac districts. Apparently some prison officers are considering lobbying the line Ministry to replicate this best practice in other government prisons. One Justine Pitho cohabiting with Mr. Amura Orach in Kyantamba village, Dwaniro sub-county –Kiboga district, was living happily with her husband until she requested to use part of the family land for commercial farming. Justine also suggested renting out a small fraction of the land to raise more income to support their children. Suspicious of Justine’s intentions, Amura rejected Justine’s request. He argued that Justine was only disregarding his authority as a family head and was also plotting to sell off his land. No amount of talking would get Amura to believe Justine, they argued and disagreed about the issue so much so that Amura pounced on Justine and beat her seriously. Amura also asked Justine to leave his home immediately, calling her a witch who had brought misfortune to the family. He accused her of the late brother’s death saying it was part of her plan to kill his family members and then take up the land. Justine shared her situation with a friend who showed her to a community based paralegal, Afisa Namammonde working with Uganda Community Based Association for Child Welfare (UCOBAC). UCOBAC is an IDF grantee implementing a women's land and property rights project in Kiboga district. This project focuses at empowering women, their families and communities through increasing their ability to exercise their land and property rights. Afisa talked to Amura about the wife’s situation and how her request/suggestions were not bad afterall but he wouldn’t listen. He instead incited the whole clan against Justine. Afisa then engaged the local Council I and III Chairpersons, the Police, Probation Office and the Chairperson of the area land committee. They advised that a meeting be held with the troubled couple to help them resolve their differences. From the discussions held, it was agreed that Justine would be allowed to till the land since this was beneficial to the family; however renting would be put on hold since she was not legally married to Amura neither was she a co-owner on the land in question. The couple was further counseled on marriage, educated on land/property rights and domestic violence and the effects these conflicts would have on their children. A letter from the district Probation Office was issued to affirm what had been agreed on, and today, Justine is happily cultivating the family land. Whereas the law and some cultural practices/systems aren’t providing outright justice to women whose rights have been violated, there can still be ways of ensuring that the victims access redress of their plight. Through IDF’s support, these redress mechanisms are being seen to function and enable women enjoy their entitlements and live full lives like other people in the society. Disrespect, discrimination, and abuse of women is being seen to decrease where specific interventions have been directed towards this cause of promoting and protecting women rights. Radio Talk Show on Women's Rights to Land and Property Restores Hope to a Widow in Lira District. Over 80% of the land in Uganda is held under customary tenure and is regulated by customary law or the local custom. In this framework, land is passed on to children through inheritance and managed by the family unit; traditionally through the male line from father to son. This patrilineal tradition remains especially dominant in the rural areas of Uganda, and is characterized by male control of decision-making about who will inherit and manage the land. Usually the land management responsibility is passed on to members of the family through the actualization of events such as marriage (for boys), divorce (for wives who return to their homes), death of husband (for widows), death of fathers (for heirs), or death of brothers (for uncles managing the land of orphans). Although the same custom acknowledges that everyone who is born married into or accepted as a member of a family has automatic land rights whether male or female, preference for male over female heirs is dominant. In most parts of the lango sub region, land is passed from father to sons. A woman’s right to land is guaranteed through her husband. If he dies, her children inherit this land, but her rights as a widow are protected through her own children, and through her late brother’s family. Traditionally, in Lira District, one of her late husband’s brothers would provide a more formal protection role for her place within the clan by giving her the status of his wife; however, this practice is slowly dying out because of the fear of spreading HIV/AIDS. Because the family’s land was customarily administered through the clan system (giving rise to a widespread misconception that all land is owned by the clan), it was the clan which protected the rights of orphans. Clan elders ensured that friends and family heads in-charge of orphans looked after them rather than exploiting them. Unfortunately for Lucy Amot of Abed ber village this was not the case. Following the death of her husband in 2002, the good relationship Amot’s family had with their neighbour Okello Cyprino ended when he resorted to grabbing her land instead of protecting her. In-spite of the deceased’s will stipulating that his land be given to the wife- Amot, Okello Cyprino was determined to grab it from the poor widow. Cyprino reported the case to Lira Court (case no. 30 of 2007) and Amot was summoned to appear; only to be surprised at the judgement which was in favour of Okello Cyprino. Lucy was later kicked out of her land. While listening to a radio talk show by an IDF grantee Guu Foundation Community Based Rehabilitation (GUFO) on Voice of Lango FM about women rights to land and property, Amot felt a rush of relief flowing through her. She couldn’t imagine there was still hope for her to reclaim her land. Amot later shared her ordeal with GUFO’s reflect volunteer in Ogur Sub County. GUFO helped Amot to find a lawyer who submitted an appeal for review of the case. Court sitting on 17th January 2014 heard the case and ruled in Amot’s favour. Okello was defeated and forced to give Amot’s land back. Since then, Amot has become an advocate for women rights to land and property in Ogur Sub County. She is now processing a Certificate of Customary ownership. 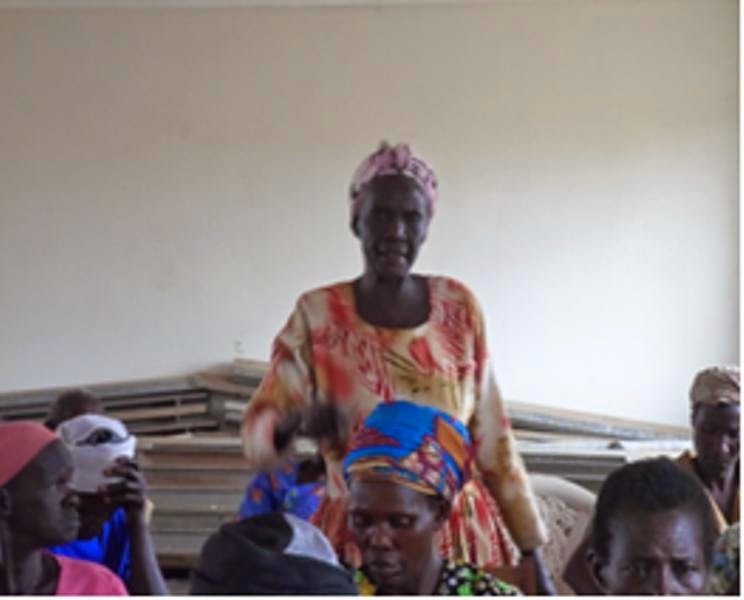 Her story and advocacy work have changed the lives of many women in Lira. Amot sharing her experience with other women during a meeting organized by GUFO. With continued support to Civil Society strategies that address women rights to land, IDF is certain to contribute to enhancing access to redress mechanisms leading to consequent realization and enjoyment of women rights by women in Uganda.